Magnificent stone house with garden and green spaces. Typical traditional house, gardens, swimming pool. Comfort and privacy assured. Rustic and independent, stone house, totally renovated, typically Portuguese, integrated in a large property, with all amenities for long stays. Composed of two beautiful bedrooms with private bathroom, living room with fireplace, equipped kitchen, outdoor porches, in full contact with nature. Ideal for families or friends. 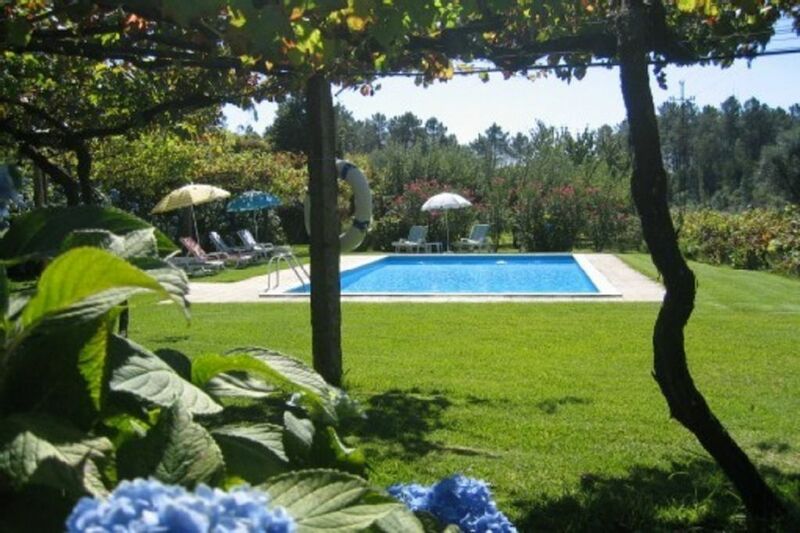 Various leisure areas, with fruit trees, swimming pool on the property with free access, independent entrance. Ideal place for rest, calm and tranquility. 6 km from Ponte de Lima, in the heart of Minho, you can enjoy the beautiful landscapes, excellent cuisine and a secular culture, in a wonderful region of lush green.